First Listen: The Very Best, 'MTMTMK' The Swedish-born producer and a Malawian singer and drummer create "African" music that sounds like a whole world of city-dwelling street sophisticates. MTMTMK's danceable African sounds could fire up any party, and would sound great on the radio. The Very Best's new album, MTMTMK, comes out July 17. Diaspora. The word sounds like a celebration, though it often describes devastating historical realities. Few factors have shaped culture, and music in particular, as profoundly as the movement of people away from their homelands. Music is made up of such movements: The beat that makes you shake it in 2012 probably first arose in West Africa two centuries ago, took a different shape in the Latin Caribbean, traveled through New Orleans and up to Chicago, jumped over to England, was laid down on vinyl and chopped up into New York hip-hop, then most recently took a trip to Sweden or Ibiza before heading back to your dance floor. This ever-shifting pattern of sonic exchange and reclamation makes geographically based categories — like "African music" — quite slippery. The most exciting artists work around such labels, mining tradition but never getting stuck in it, instead chasing the diasporic flow into new spaces. 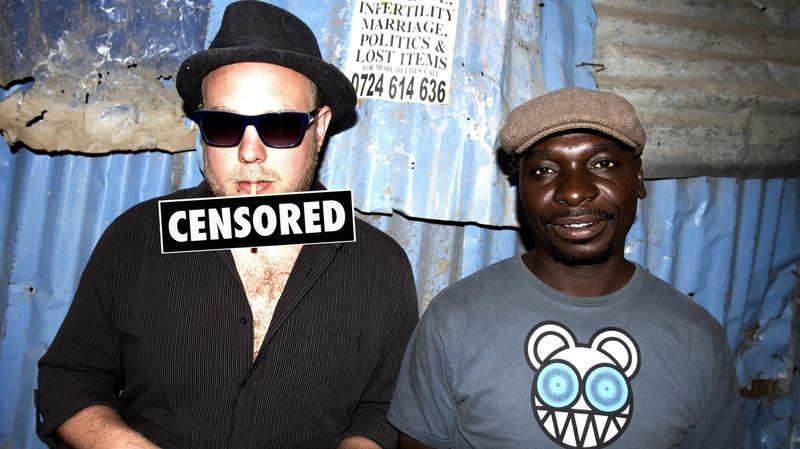 One such group is The Very Best, which came into being when the Swedish-born producer Johan Hugo met the Malawian singer and drummer Esau Mwamwaya in a London secondhand shop in 2007. Ever since, the two have been mixing and matching sounds to create "African" music that sounds like a whole world of city-dwelling street sophisticates. The Very Best's official debut, Warm Heart of Africa, cemented the then-trio's position at the forefront of a new phase in the development of African-rooted music. It included cameos from hip time-zone trippers Ezra Koenig and M.I.A., and complemented the nearly psychedelic explorations of bands like Animal Collective. Out July 17, MTMTMK is an altogether different effort, both catchier and more intense. Its songs, with lyrics written by Mwamwaya in English and the Malawian national language, Chewa, revel in the power of African sounds to shape a vision as wide as the world. (The Very Best has fun doing this: Check out the video for "Yoshua Alikuti," which parodies Lil Wayne's "A Milli," was filmed in Nairobi, and highlights a song protesting the regime of the now-deceased Malawian president Bingu wa Mutharika.) Mwamwaya's beefy wail communicates passion, humor and conviction, no matter what language he's using at the moment. MTMTMK features many highly danceable earworms that could start any party and sound great on the radio. Renowned musical ambassadors K'Naan, Baaba Maal and Amadou & Mariam all make appearances. "Rumbae" even includes a hook which resulted from collaborations with "Dynamite" hitmaker Taio Cruz. Yet the focus and craft Hugo and Mwamwaya bring to MTMTMK only makes the music richer: "Rudeboy" and "We OK" (co-written with Bruno Mars) revive the spirit of new-wave genre-busters like The English Beat, whose pretty choruses were wrapped around sharp-edged stories of cultural collision and change. Beyond the easily recognizable names, MTMTMK features an overflowing handful of other young talents representing Africa's peripatetic soul. Vocalists Seye and MNEK hail from London, DJ Mo Laudi is based in Paris and rapper Xuman calls Senegal home. Tapping into this traveling brain trust, Hugo and Mwamwaya remind listeners that reggae, hip-hop and traditional African music are all connected through the drum — whether that drum is a traditional one or a beat emanating from a sequencer.